NFC (near field communication) is a wireless technology able to transfer data between connected devices. When two smartphones are brought near to each other, their owners can securely exchange files within a few seconds. The other more popular use of NFC is contactless payments. Once you have an NFC mobile device and a pay-app, you don’t need to carry your credit cards around. Shopping is made even easier with smartwatches. So much time is saved when your wallet is always on your wrist. By the way, NFC transactions are also accepted quicker than credit card payments. Here are the latest and most popular models of smartwatches bringing NFC advantages to their owners. The durable reinforced plastic case along with Gorilla Glass 3 protects a powerful and refined mechanism. The watch has a 2-core processor with a frequency of 1.2 GHz, and its RAM/flash memory is 512 MB/4 GB. The device has an NFC-module, 24-hour heart rate monitoring, geomagnetic and air pressure sensors. It supports GPS + GLONASS, Wi-Fi, and Bluetooth 4.0 + BLE. For those fitness fans using smartwatches, Amazfit offers 11 different sport programs. The battery allows the device to work for up to 5 days on a single charge depending on the intensity of use. This smartwatch can also be synchronized with many smart gadgets of MIOT-system, such as a robot vacuum cleaner or an air purifier. It brings the reality of the smart home closer. This American brand offers the audience a brand new smartwatch model that differs from most of its competitors by having an elegant design. It boasts a lot of functions powered with Wear OS by Google™ such as: heart-rate tracking, Google Assistant, smartphone notifications, activity tracking, Google Pay, and GPS. Owners can add any apps they need from the Google Play Store. The interactive touchscreen is swim-proof, so you can always stay in touch. You can customize the appearance of the desktop and the dial according to your tastes and preferences. Though the battery life is quite short (up to 24 hours on a single charge), the devices are equipped with magnetic chargers so you can restore the battery charge on the go. A classic customizable design and an impressive NFC range (5-7 cm) make this watch a perfect companion for active businesspeople. 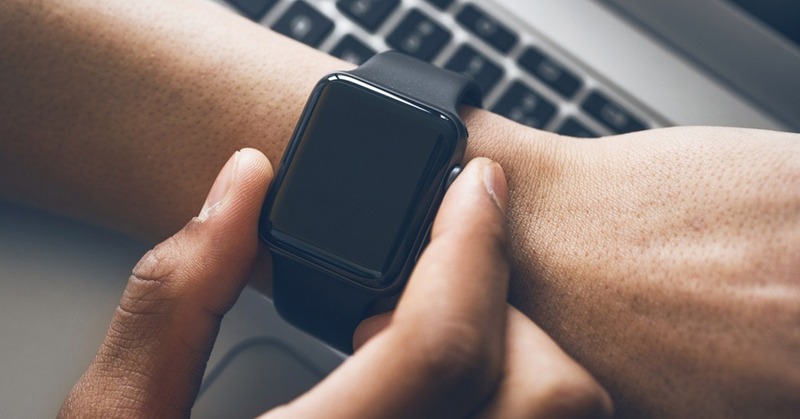 The smartwatch offers Bluetooth and Wi-Fi connections, GPS tracking, offline music player, a heart-rate monitor, sleep tracker, workout coach, and a smart assistant. The battery life is quite competitive and can total up to two days of active use. However, the durability is questionable. For instance, the dial glass is not scratch-proof and the connecting hinge appears a bit weak. It seems not the best option for extreme sports etc. Some of its technical characteristics are: CPU Qualcomm Snapdragon 2100; OS: Android Wear 2.0 Supported Mobile OS: Android 4.4+; 4 GB Flash+768 MB RAM. Its classic-style round touchscreen dial is customizable. The model is available in 6 colors and different styles of wristbands. The watch works on the Snapdragon Wear 2100 processor and is compatible with both Android and iOS systems. The device can track your burnt calories, steps, passed distance, as well as sleeping patterns. The in-built microphone and speaker allow the owner to make and answer calls. Some functions can be controlled with the help of Google Assistant. Push notifications provide timely updates of social network messages and phone calls. The weather app is pre-installed and additional apps can be downloaded per the user’s choice. The battery can hold up to 24 hours in the waiting mode and is charged wirelessly. Good quality at an affordable price. It has a stylish sporty design, yet may appear quite bulky for someone’s taste. The wristband is made of rubber and is not changeable. The watch is enabled with GPS, Wi-Fi, Bluetooth, and NFC features. It monitors one’s heart rate and has a music player which is convenient for fitness. The voice function “Ok Google” helps to look for information, set reminders, and find routes on the Google Map easily. When the user presses the rotating button, there appears a polite Google Assistant prompt: How can I help you? This device is compatible with Android (4.4 or later). It can also be paired with iPhones, however not all the functions are available. It is dust- and water-resistant, able to stay underwater for short periods. The watch has a sharp-resolution display. There is a swiping-style keyboard to type out messages and notes as well as a handwriting recognition option. Those are great features for crowded places where voice commands do not work properly. Buttons on the sides of the watch are customizable for any task or app. If you use it to activate Google Pay, your NFC payments will be just one push of a button away. However, users should bear in mind that the screen locks automatically every time you take the watch on and off. In that case, you have to unlock the interface before proceeding with any transactions. The main drawback is quite a short battery life (10-12 hours).